The Wavescape Pavilion achieves a stunning interaction between architecture and sea. 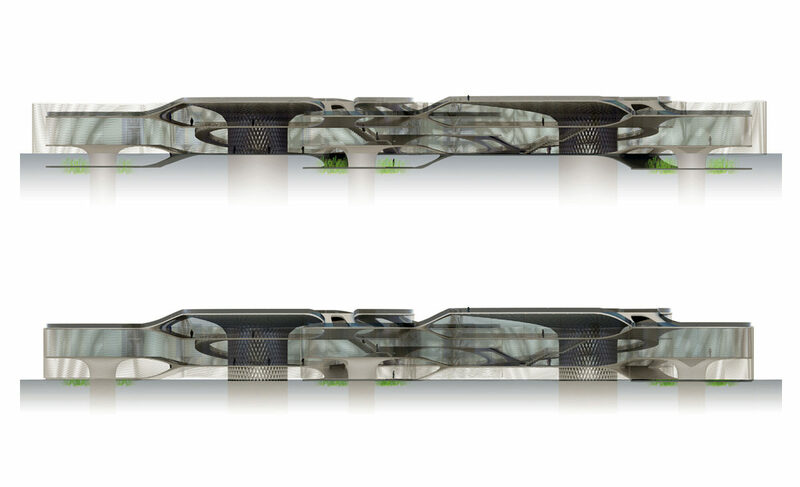 Two connected spaces, used for the exhibition, are wrapped by a versatile skin, that gives to the building a fluid, transparent appearance. This skin conveys the movements of the ocean, recreating a wavelike vibrant motion. 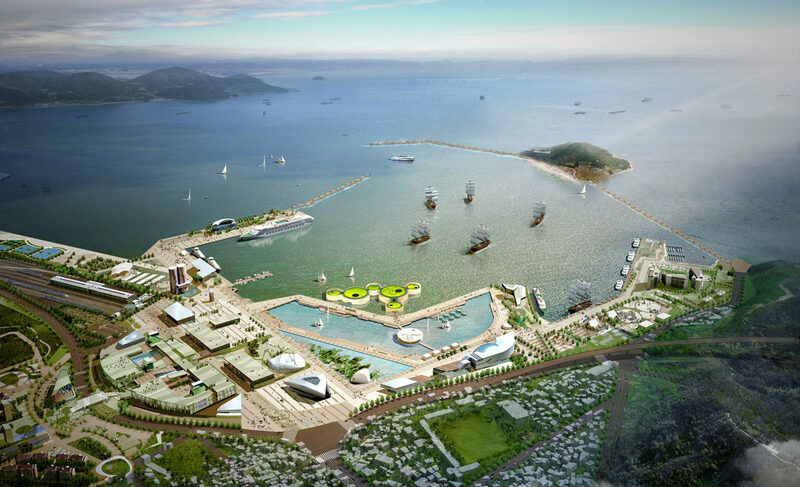 Client: Organizing Committee of the Expo 2012 Yeosu. 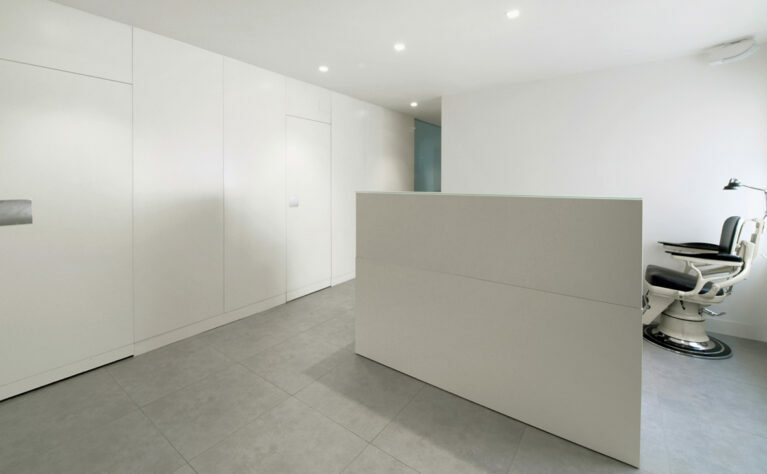 The ambition of an architecture in motion can be achieved with the right site and requirements. 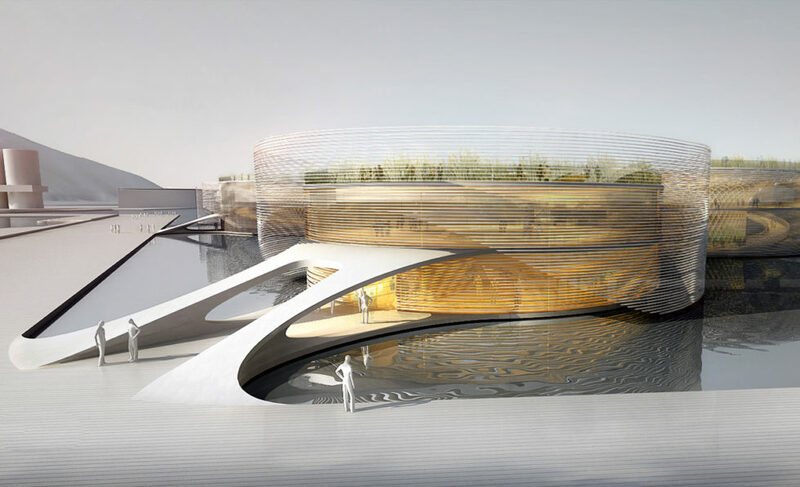 This project represents a proposal for the theme pavilion of 2012 Yeosu International Exhibition, in South Korea. 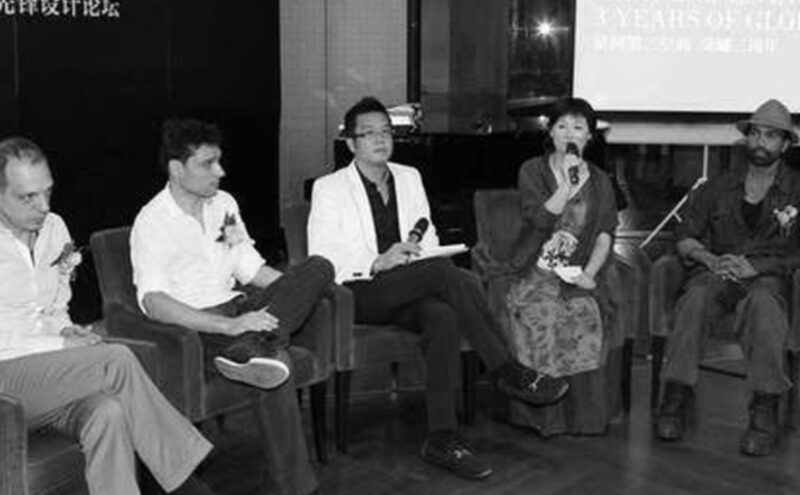 The purpose was for people to experience and understand the essence of the water and the ocean, which were the theme of the exhibition, and also the building’s location. 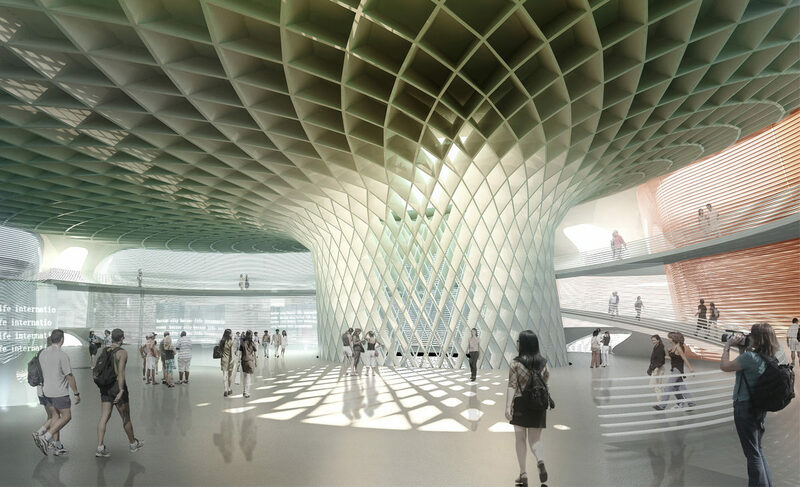 In order to represent water through architecture, the dynamic and translucent qualities of the fluid are recreated into the pavilion’s features. The structure is not bound to a solid state. 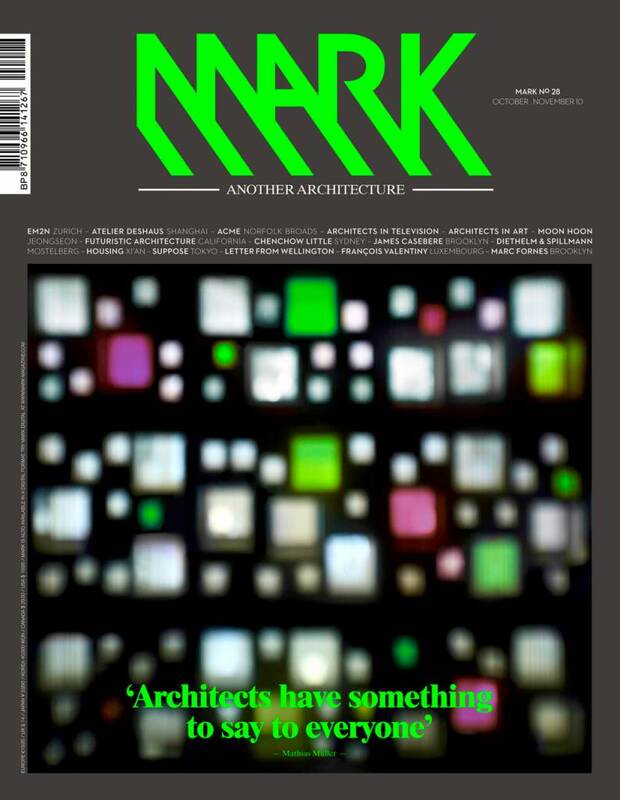 It is always in motion, conveying dynamism through the varying layers of transparency which wrap the building up. 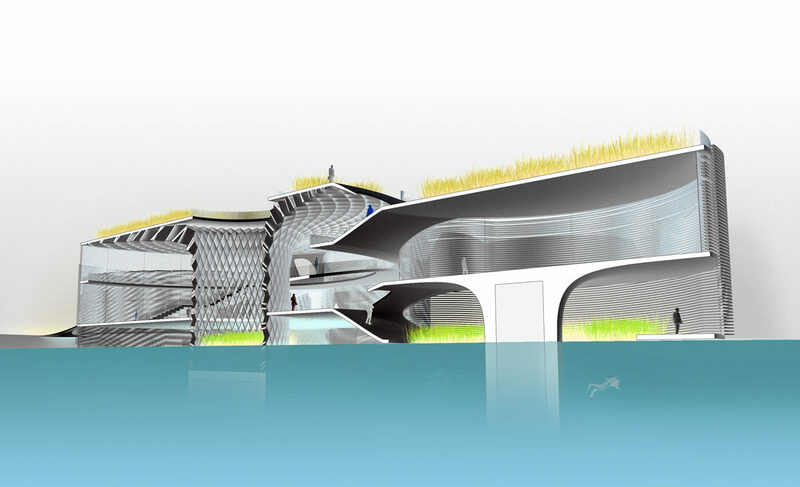 The visitor will be guided directly into a space where ocean and architecture coexist. 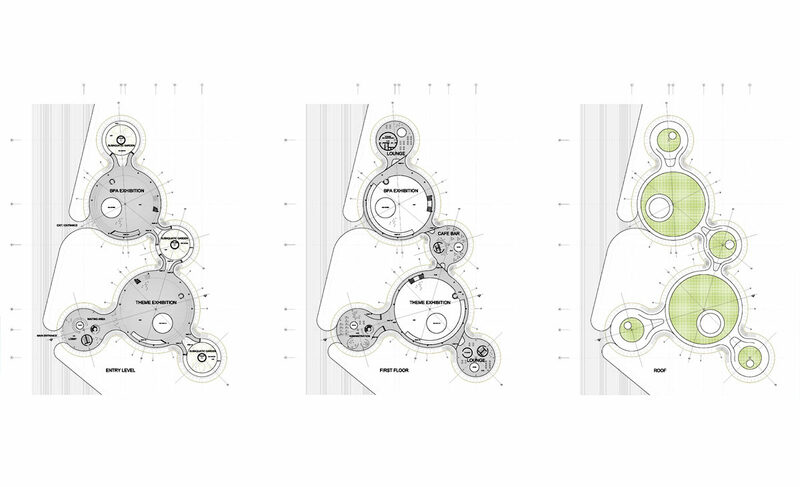 The buildings’ design conceives a diagram of two water molecules connected with each other. Such formation alludes to the interconnection of two large spaces of the exhibition, with four adjacent, complementing areas. 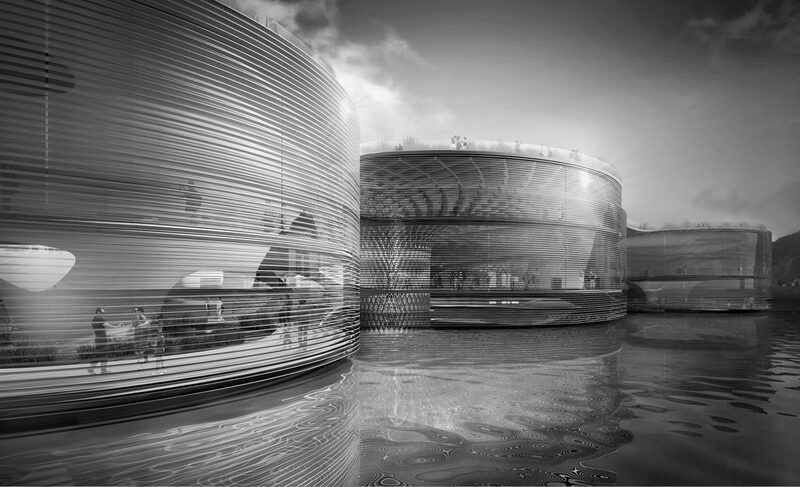 These six circular structures rise on the water and are enveloped in a peculiar, versatile skin. 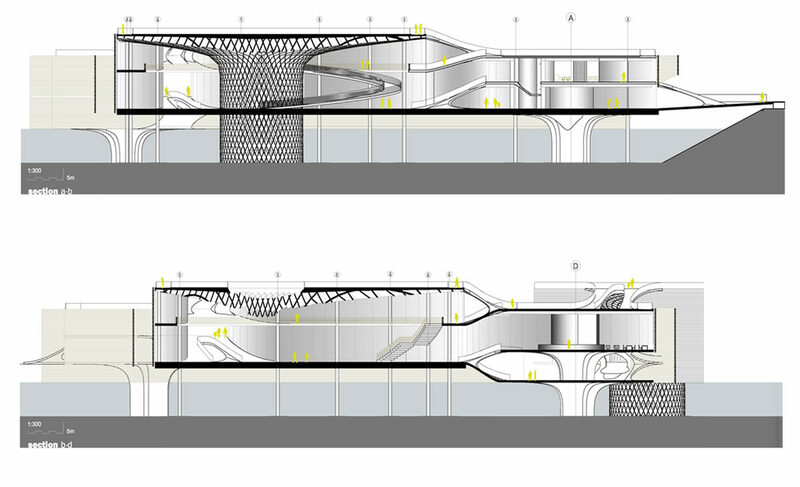 Its membrane is composed of two layers of horizontal louvers, that confers a fluid, transparent quality on the buildings. It is a mobile element, that undulates with the ocean’s movements. This double, external enclosure floats on the water, allowing the slats to move vertically, emulating the tide’s motion. 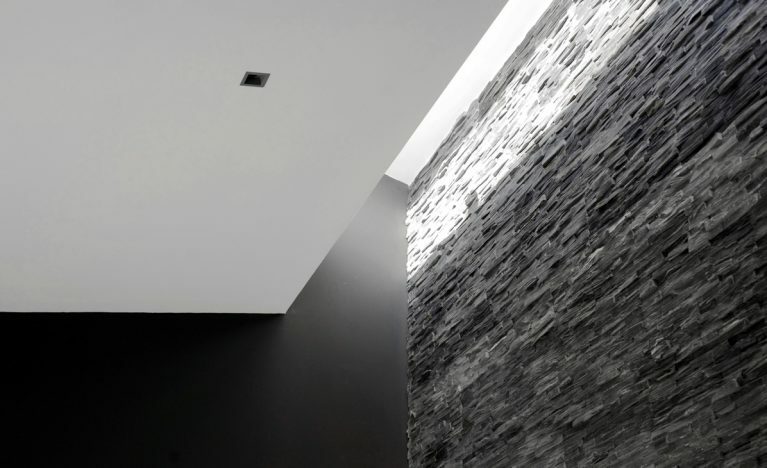 At the same time, the wave action produces an effect of continuous movement on the façade. The result of both displacements, combined with the overlapping slats in different layers, forms a diffuse and cyclic image of the interior, enhanced by the Moiré effect of the horizontal lines. The pavilion’s image is reflected in the singularity of this osmotic skin, that shows how the nature of water is a living part of the architecture and the visitor experience.